Looking for those tall fins and you are a Mopar Fan well check this out. 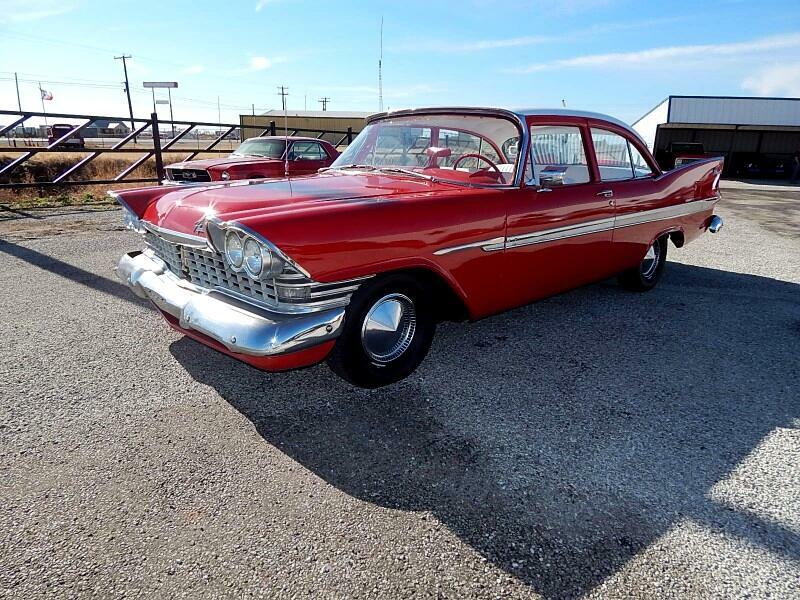 1959 Plymouth Belvedere powered by a 318 CI V-8 Motor With A Three Speed In the Floor. All New Interior In Classic Red And White. On The Outside you will see nice red and white paint with all new tires. Tons of new parts you can drive this car anywhere. call for more info. Message: Thought you might be interested in this 1959 Plymouth Belvedere.